Whoa. 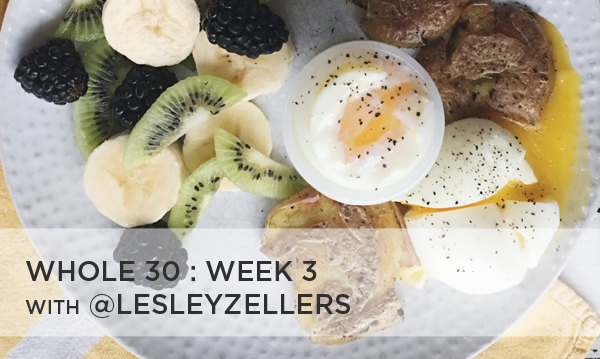 We have officially completed 3 entire weeks of Whole30! I kind of did not think it was possible but also thought I could totally do it, if that makes any sense at all. If you're new, Week 1 meals are here and Week 2 are here. I will confess, this weekend was the hardest. The beginning of the week started strong. We were continuing to have amazing sleep, lots of energy and few cravings. Meals were enjoyable although the constant dish cleaning was not so much. Then Friday happened. Here's the thing, Friday's have always been the night I don't cook which means we either go out for pizza or Mexican food. So by Friday I was pretty much over the whole30 idea. We had conquered eating at home for every meal and only went out 1 time in 17 days. And since our main goal of doing whole30 was to eat out less, I'd say we achieved that goal. Plus, I really didn't want to cook, clean dishes and just really, really wanted some chips, salsa and queso. Throw in a margarita and I wouldn't object. But, we stayed strong. Made a dinner omelette and called it a night. #lame. And then Saturday happened. 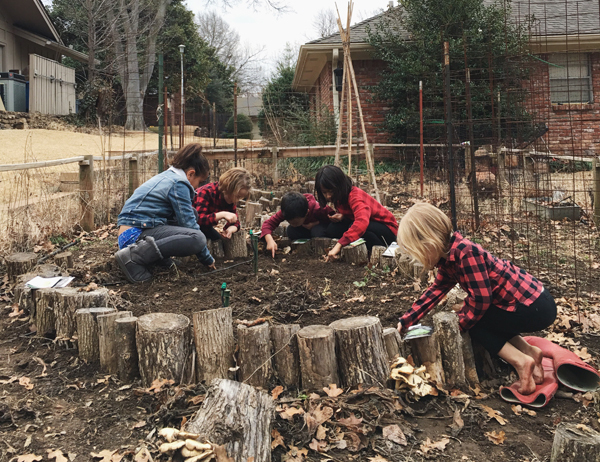 It was the perfect day for prepping the garden beds for planting in the coming weeks. We were outside all day. Raking. Pulling weeds. Gathering leaves. Getting dirty. Before we knew it the sun was going down and it was time for dinner. Only, we'd been outside all day so nothing had been prepared. My husband and were half talking each other into quitting and half talking into each other to sticking with it. We were weak. But in the end we said, "hey, we've made it 20 days, what's another 10? Let's do this." So how did we survive week 3? Quick and easy meals, a lot of eggs, fruit and salads. There were ZERO recipes this week. Meaning, we pretty much bought proteins and fruits and veggies that were on sale (hello, Sprouts, my new favorite place for produce sales!) and threw them together. Nothing fancy or glamorous but it got us through. Lunch: salad with TJ's cruciferous crunch mix and green leaf lettuce topped with sliced cucumber, carrots, green onion, a hard boiled egg (made in the instant pot) and sliced chicken thigh (leftover from night before) with "dump ranch"
Lunch: mixed green salad topped with sliced cucumber, carrots, green onion, prosciutto, shaved chicken bresat and a medium boiled egg topped with "dump ranch"
Lunch: mixed green salad topped with sliced apple, cucumber, green onion, prosciutto, chopped pecans and a medium boiled egg topped with "dump ranch"
my husband and I are weird. That whole timeline thing is opposite for us. This past week we were supposed to have crazy energy but instead we both had random headaches and were tired even though I have been getting the best sleep I've had in 6 years. Weird. we also decided there is nothing wrong with cheese or sugar. They are good. They make us happy. I think our marriage needs them. 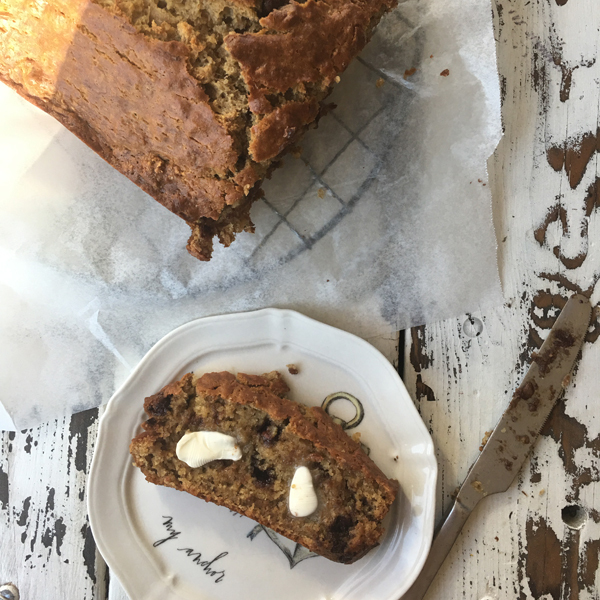 these may sound like complaints and I'm sorry, I try my best to stay positive during the week but this is where I get honest and do you know how hard it is to make homemade chocolate chip banana bread and not eat ANY of it?! Let me tell you. It's hard. I feel better. Seriously. I feel great when I wake up. Great throughout the day and great when I go to bed. So we're taking the good with the bad and have 9 days left. I love that you're posting all this and that you are giving the good and bad details. :) I'm so impressed and know you will finish strong. And seriously, I feel like you make all of it look so delicious! Yay! You posted recipes I can try to follow when I'm feeling ambitious. Chips are foundational to marriage. I definitely should've put that in the book.